The one item I decided not to make is the pup pack or backpack. 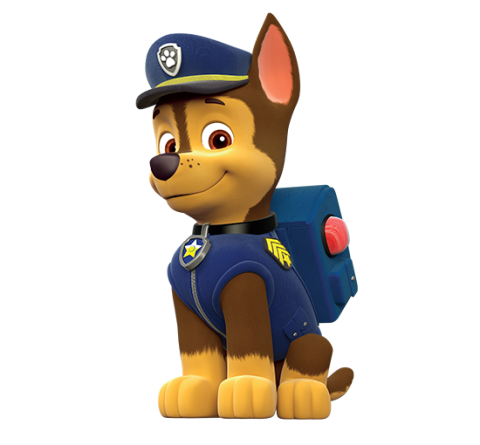 I thought about making one, which wouldn’t be difficult, but there is an actual pup pack toy, complete with his rescue tools, so that seemed like a no-brainer. 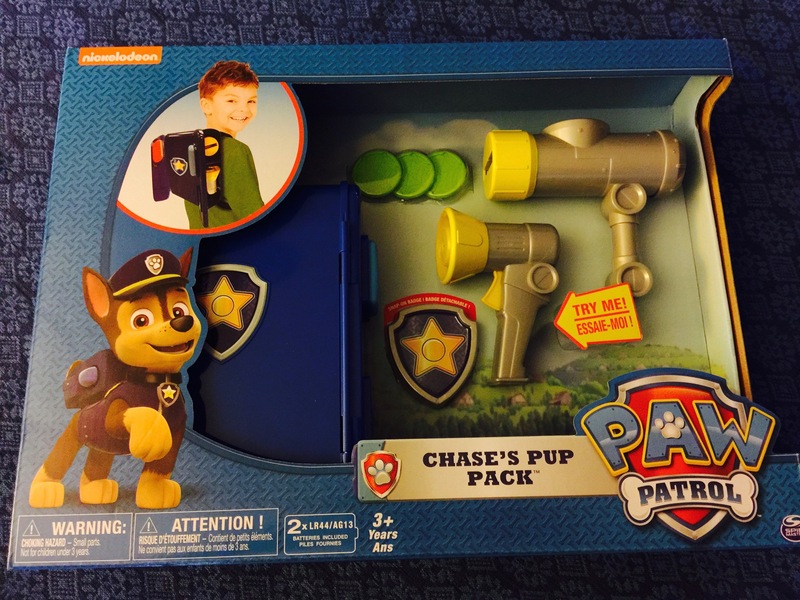 It even comes with his badge. This is the first in a series of posts for each element of the costume: hat, vest, furry dog body. So on to the hat. I have found some ready made Paw Patrol appliques, but not the paw shield on the characters’ hats, so I made that myself with iron-on mending patches in grey and white. I used a stiff craft interfacing on the front part of the hat, in addition to lining it with the blue fabric, so that it is finished inside. The rest of the hat fabric pieces do not need to be lined. The plastic hat band was trimmed to about 1/2″, just enough for the yellow grosgrain ribbon trim that I stitched in place by hand. Sew the lower strips together first and then onto the adjustable band. Sew in the crown last and turn—working on a hat with an adjustable band makes it pretty easy to sew everything on. UPDATE 4/28: See those tabs at the back of the hat in the last photo? Well, they came off at Easter during the trial wearing of the hat, so I took them out and made some blue tabs with velcro for adjusting the size. It’s much better, and I should have done it to begin with. Those plastic straps were just not sewn in well and they easily tore the threads holding them in. I should have known that a 5 year old would be constantly adjusting the size.